Valerie - The first doll of 2019! It is 2019 already! 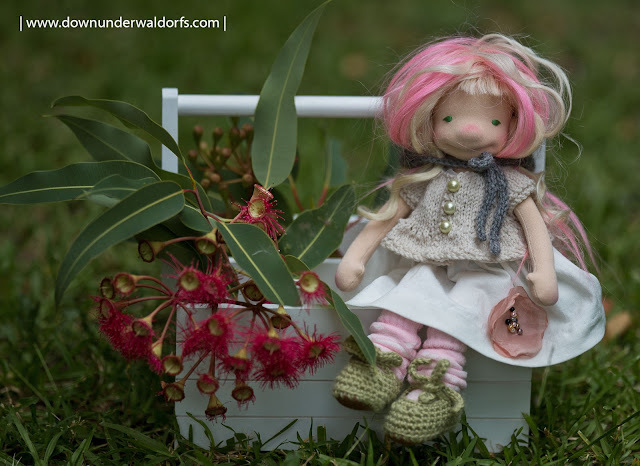 Time is flying for sure, and while I am pursuing a different creative path at the moment, I decided that my dolls deserve to be in my life and can't be simply abandoned. Maybe you know this feeling when doll's stuff just overwhelms you, when you are finding yourself every day in the middle of this creative mess. I had to pause for a couple of months and rethink. Yes, it was really hard to get back but I started slowly, first from just a bit of knitting and then everything else. 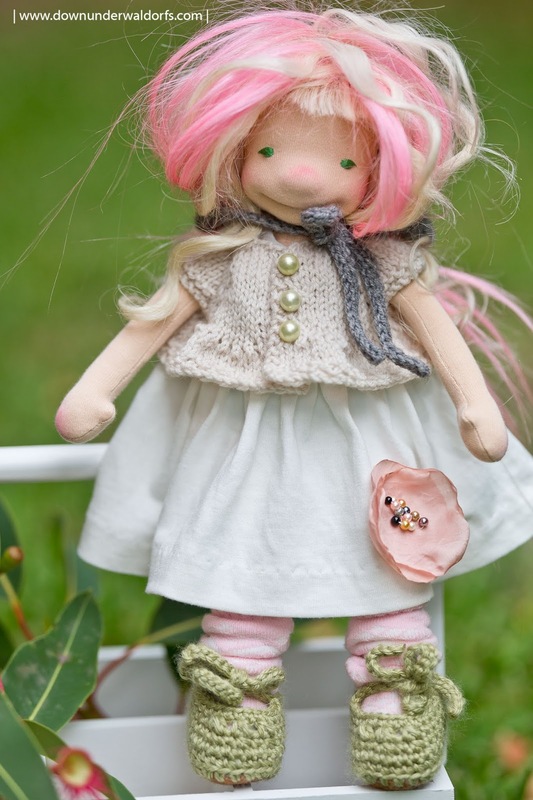 The new doll Valerie has been in the process of making for months, waiting very so passionately for me to finish her. I am very glad to finally meet this new dolly soul. Let me tell you a bit about her construction. Well, let's start from the head. It has been needle felted over many hours to get this funky and smiley face expression. Her eyes have been embroidered with cotton floss. For her hair, I used commercial wefted mohair in two shades and textures. This was something new and totally experimental but I ended up loving the result. Valerie has ears, no I should say EARS as they are rather big but luckily can be hidden under her hair if you mind. I personally don't mind big ears so I might try a different hairstyle for her. Next is Valerie's neck, it has wire inside and this girl can move her head from left to right and up and down. 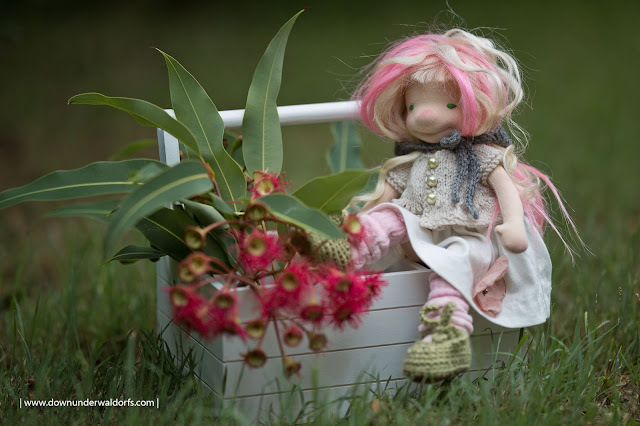 Body is lightly felted and weighted with premium glass beads, as I love to keep smaller dolls a bit weighted, it gives them a nice feel. Her legs are bendable at the knees and kept warm in cosy socks and crocheted shoes. Underneath her softest merino wool knit cardy is cotton/linen dress with polka dot bodies. The dress embellished with blush pink flower. These cute fabric flowers are not hard to make but oh boy, I had a blast with it. I burned to ashes a few before finding the right spot and technique to do it, it required some practice as well just like everything else (being outside on the fresh air wasn't good for it as the fabric is extremely flammable and requires just a fraction of a second to be burnt). 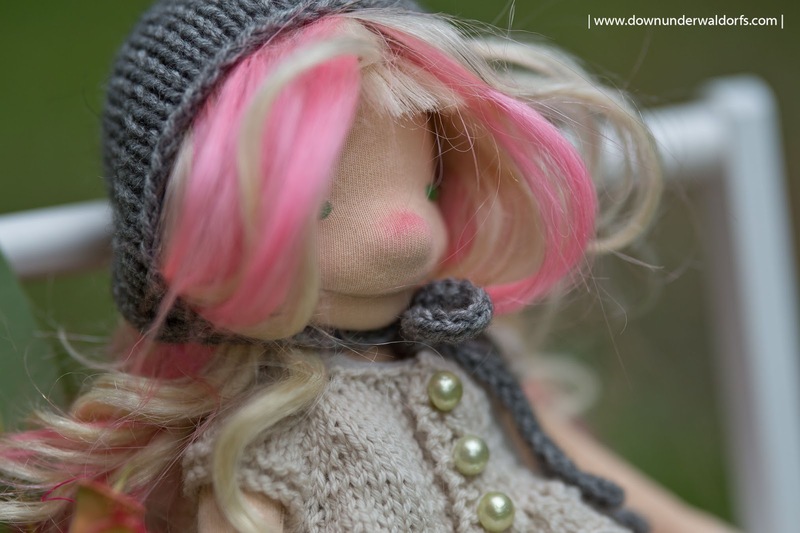 I finished her outfit with charcoal grey knit bonnet. 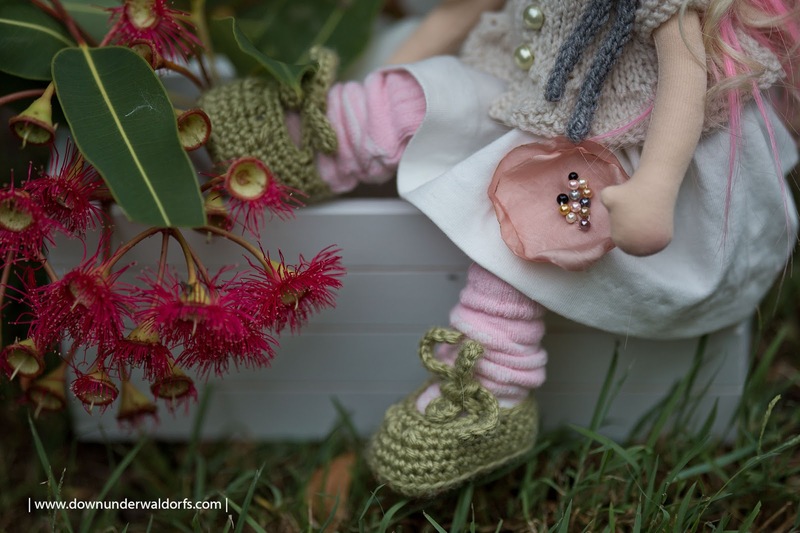 Valerie will be available through Dollectable monthly upload on February 1st, 2019.